Fear the Walking Dead season two premieres in the US, Sunday, April 10, 2016 on AMC. In advance of the premiere AMC has released two teasers for the second season of this Walking Dead TV series spin-off. Watch them below. Last week, TV Line reported that Dougray Scott is coming to the spin-off, in a recurring role. The cast of Fear the Walking Dead also includes: Kim Dickens, Cliff Curtis, Frank Dillane, Alycia Debnam-Carey, Mercedes Mason, Lorenzo James Henrie, Rubén Blades, and Colman Domingo. Y la segunda, en español. [A] recent casting breakdown gave details on a character called Casey, who has been described as a decent man who believed in civility and is confident in an unexpected position of authority. Loyal to his family, Casey must learn how to be a leader in order for his vision of a future for his loved ones to come to pass. As this is the zombie apocalypse, he will have to learn to embrace necessary violence. Frankly, this Casey sounds like a condensed version of Rick Grimes from the Walking Dead mothership. Considering that the first season of The Walking Dead was much better than the first season of Fear the Walking Dead, perhaps the similarities bode well for the spin-off’s second season. Even if this isn’t the person Scott is playing. What do you think? Are you a fan of the Fear the Walking Dead TV show? Do you plan to tune in for the second season premiere? What role do you think Scott should fill? 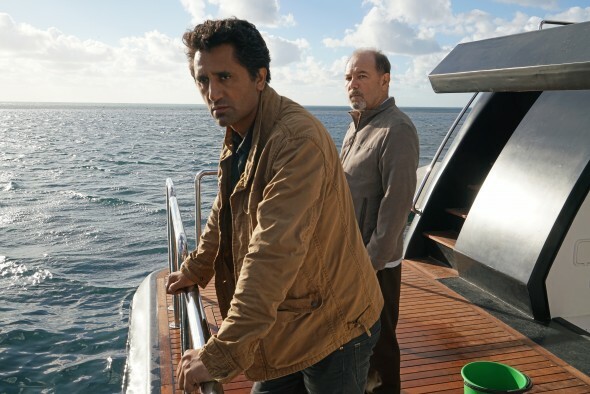 More about: Fear the Walking Dead, Fear the Walking Dead: canceled or renewed? I hope they aren’t just teasing….. this is a great show!